Tina is a writer in Portland, Oregon, which is a splendidly green and drizzly city. She was born in St Louis and has lived in Northern California, but mostly where she grew up is the lovely college town of Lawrence, Kansas. She has a husband, cat, young son, and two thousand books, and we all live in an old house on a hill that came with a dragon mural in the basement and blackberry vines in the attic. She has been publishing stories for awhile now, and her Nebula-nominated novel IRONSKIN came out from Tor in October 2012, with sequels in Fall 2013 and 2014. She frequently narrates stories for Podcastle, Beneath Ceaseless Skies, and more, and is working on a full-length play with some friends at The Pulp Stage. Also, check out her (now-Parsec winning!) flash podcast, Toasted Cake! She spent six weeks in Seattle at the F/SF writing workshop Clarion West. Things she likes include argyle socks, pale ale, tiger lilies, metaphorically fiery maples, ridiculously sharp cheddar, creeks, spectacles, plums, and pie. Things she does not like include sugar, driving, and ice cubes. 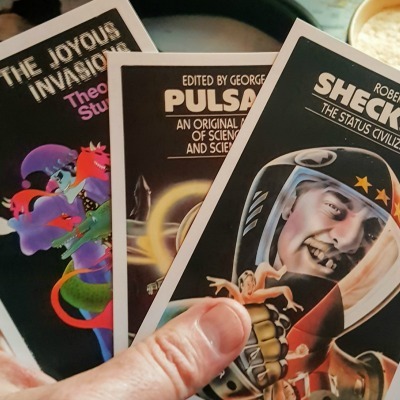 Diane sings, teaches voice, narrates poetry and stories and produces a podcast on Science Fiction Poetry, she blogs – both for fun and professionally. She’s a wife and a mom to a 3 year old.